2500 Likes on Facebook, 1500 Followers on Twitter and a Giveaway! And as promised, a giveaway! 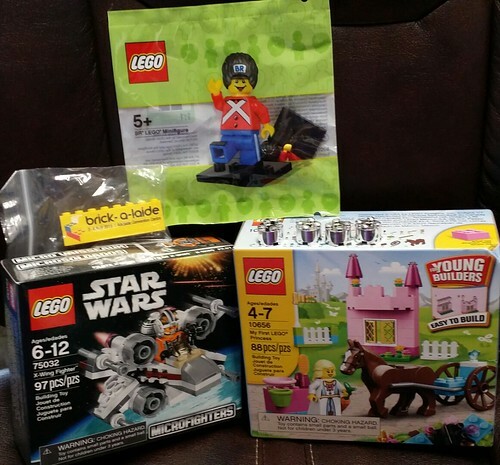 There’s a fun couple sets — a microfighter X-wing, a fun creator set, a rare BR LEGO Minifig (not available in the US), a Brick-A-Laide promo brick (only available at the show in Australia) and the smallest but rarest thing in this giveaway is 4 2×2 new, never been used round chrome bricks that are over a decade old! There will be one winner. Yes, you can enter once all three ways. I will leave the giveaway open till midnight June 19th (pacific standard time). This will be international, so as long as I can mail this to you, I will. I will be at BrickWorld Chicago next week, so I won’t be able to ship the prize to the winner until I get back. Thanks to all my fans and Good luck! Hi all. I realize I’ve been totally off the grid for the past couple weeks. Finishing up a large commission (which will be covered later) and feeling under the weather has been keeping me occupied. But I’m back now, and the only thing that’s on my mind at the moment is BrickWorld Chicago, which is just about 2 1/2 weeks away. I have a pretty awesome new mosaic planned, we’ll see how much of it I’ll get done before the show. Its in four parts, so even if I don’t get it all designed, at least some of it should be ready by then. And if any of you readers are coming, either for the whole thing or just the public days on the weekend, stop by and say hi. I’ll have my vendor table there and I’ll be selling not only my own stuff, but also BrickShirts shirts so that’s a good place to find me, at least during public hours. 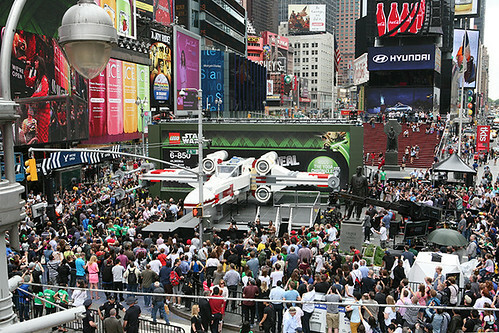 As I wasn’t there, I defer to Joe Meno and his guest post on Brother’s Brick for all the details. And if you are coming to LEGOLAND California for the Star Wars weekend, then be sure to check out the LEGO display put on by LUGOLA, SandLUG, LGuage and FBTB.